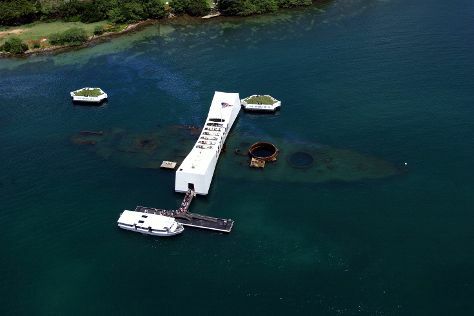 On the 28th (Fri), contemplate the long history of Iolani Palace, browse the different shops at Ala Moana Center, and then explore the galleries of USS Arizona Memorial. To see where to stay, more things to do, photos, and other tourist information, go to the Honolulu tour planner . Sydney, Australia to Honolulu is an approximately 13-hour flight. You'll gain 20 hours traveling from Sydney to Honolulu due to the time zone difference. Plan for warmer temperatures traveling from Sydney in June, with highs in Honolulu at 35°C and lows at 27°C. Cap off your sightseeing on the 28th (Fri) early enough to travel to Seattle. Start off your visit on the 29th (Sat): examine the collection at The Museum of Flight, then wander the streets of Pike Place Market, then explore the world behind art at Chihuly Garden and Glass, and finally stop by Elliott Bay Book Company. For more things to do, reviews, where to stay, and tourist information, refer to the Seattle tour itinerary tool . Getting from Honolulu to Seattle by flight takes about 8 hours. The time zone difference when traveling from Honolulu to Seattle is 2 hours. Plan for a bit cooler temperatures traveling from Honolulu in June, with highs in Seattle at 27°C and lows at 16°C. Wrap up your sightseeing on the 29th (Sat) to allow time to travel to Yellowstone National Park. Spend the 1st (Mon) exploring nature at Yellowstone National Park. 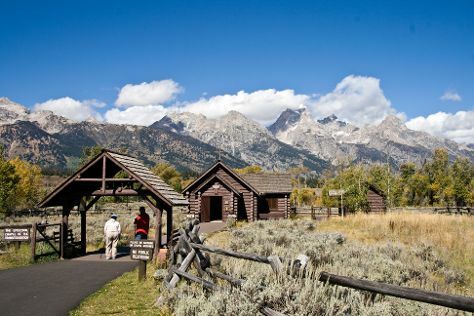 Spend the 2nd (Tue) surrounded by wildlife at Grand Teton. And it doesn't end there: take in breathtaking views at Grand Canyon of the Yellowstone, get to know the fascinating history of Uncle Tom's Trail, and stop by Fishing Bridge General Store. For photos, where to stay, traveler tips, and tourist information, read Yellowstone National Park trip planner . Traveling by combination of flight and car from Seattle to Yellowstone National Park takes 5.5 hours. Alternatively, you can do a combination of flight, shuttle, and bus; or drive. The time zone difference when traveling from Seattle to Yellowstone National Park is 1 hour. When traveling from Seattle in June, plan for a bit cooler days in Yellowstone National Park, with highs around 22°C, while nights are much colder with lows around 1°C. Cap off your sightseeing on the 2nd (Tue) early enough to travel to New York City. Let the collections at The Metropolitan Museum of Art and American Museum of Natural History capture your imagination. Satisfy your inner culture vulture at 9/11 Memorial and Times Square. There's still lots to do: make a trip to Central Park, buy something for everyone on your list at Designs by Kamni, take in panoramic vistas at Empire State Building, and take a stroll through Fifth Avenue. To find other places to visit, more things to do, reviews, and more tourist information, go to the New York City trip builder site . Getting from Yellowstone National Park to New York City by combination of car, flight, and bus takes about 9 hours. Other options: do a combination of bus, shuttle, and flight; or drive. You'll lose 2 hours traveling from Yellowstone National Park to New York City due to the time zone difference. While traveling from Yellowstone National Park, expect a bit warmer days and much hotter nights in New York City, ranging from highs of 35°C to lows of 26°C. Finish your sightseeing early on the 5th (Fri) so you can travel to Yosemite National Park. 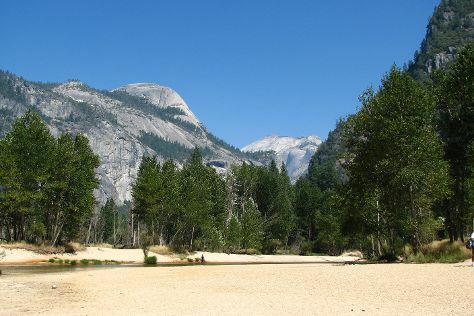 Start off your visit on the 6th (Sat): admire all the interesting features of Tioga Pass, take your sightseeing to a higher altitude at Cathedral Beach Picnic Area, and then take in the dramatic natural features at Glacier Point. Get ready for a full day of sightseeing on the 7th (Sun): take in the architecture and atmosphere at Yosemite Valley Chapel, take in the exciting artwork at Ansel Adams Gallery, then take in the dramatic scenery at Chilnualna Falls, and finally don't miss a visit to Pothole Dome. To see more things to do, where to stay, maps, and other tourist information, go to the Yosemite National Park itinerary builder app . Traveling by combination of bus, flight, and car from New York City to Yosemite National Park takes 11.5 hours. Alternatively, you can do a combination of flight and bus; or drive. The time zone difference moving from Eastern Standard Time to Pacific Standard Time is minus 3 hours. Plan for cooler nights when traveling from New York City in July since evenings lows in Yosemite National Park dip to 9°C. Wrap up your sightseeing on the 7th (Sun) early enough to drive to San Francisco. 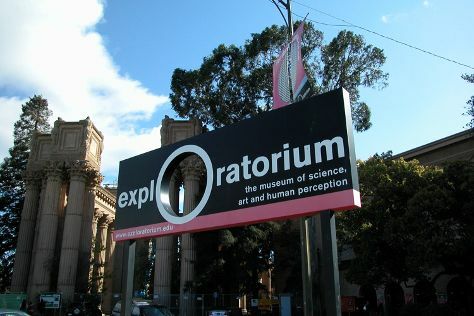 Kick off your visit on the 8th (Mon): examine the collection at Cable Car Museum, take a leisurely stroll along Fisherman's Wharf, then head off the coast to Alcatraz Island, and finally see the interesting displays at Musee Mecanique. On the 9th (Tue), you'll have a packed day of sightseeing: shop like a local with Union Square, engage your brain at Exploratorium, and then snap pictures at Golden Gate Bridge. For photos, maps, more things to do, and other tourist information, go to the San Francisco day trip app . Traveling by car from Yosemite National Park to San Francisco takes 4 hours. Alternatively, you can do a combination of car and flight; or do a combination of bus and flight. Expect slightly colder weather when traveling from Yosemite National Park in July: highs in San Francisco hover around 26°C, while lows dip to 16°C. Wrap up your sightseeing by early afternoon on the 10th (Wed) to allow time for travel back home.